Welcome to the SEA LIBRARY! 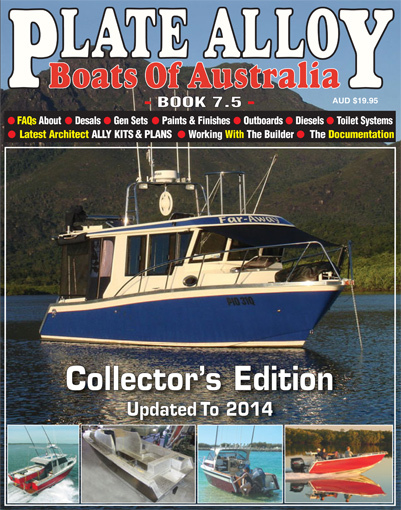 Australian Boat Mags' SEA Library is a unique marine editorial library containing hundreds of boat and engine tests, consumer reports, seamanship, fishing and feature articles published in Australian Fisherman & Boatowner ("F&B" 1993 - 2011), then The Boat Mag (2012-13) and most recently, in Australian Boat Mag (2013current). The SEA Library also has a growing selection of what are called 'Retro' tests. These are major boat tests and reports written exclusively by Peter Webster as far back as his Australian Boating (1973-1989) era, and subsequently, in various magazines between 1990-2005. 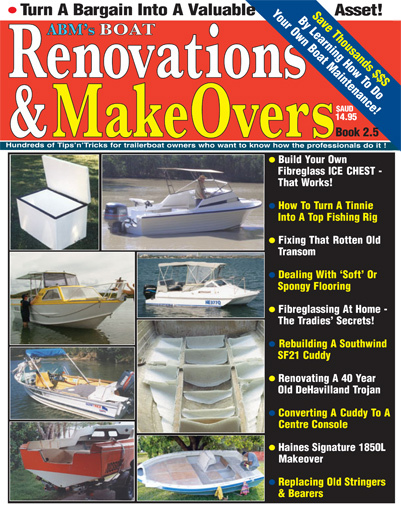 The Retro section features an array of in-depth boat tests for many of the most popular boats ever built in Australia, craft that are still hugely popular on the secondhand (or 'pre-loved') boat market. Of interest, many of the original tests contained some very brave journalism; the Retro tests are generally written to a standard of journalism that is simply inconceivable in this day and age, when legitimate - or needed - criticism is not tolerated by all but one or two of the remaining boat builders. The Sea Library is now (in 2015) an exceptional resource for consumers researching the history and background of craft they might be thinking about buying, or for research into a vast number of technical features, DIY projects and subjects covering boats from stem to stern. It is also a phenomenal tool for people coming into boating for the first time - regardless of age or aspirations. 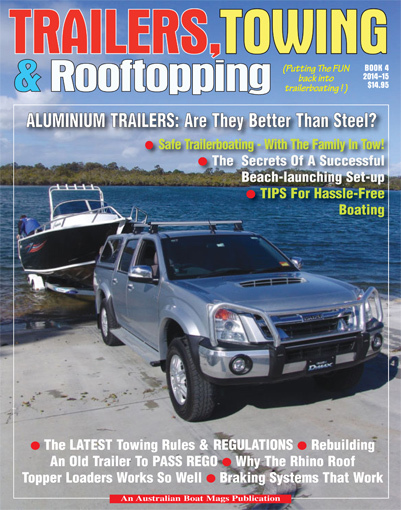 Apart from dozens of specific fishing articles and 'how-to' reports, we have listed dozens of family holiday destinations providing the comprehensive 'hands-on info boating families need to know' before they head off from their home base on their next exciting boating adventure. 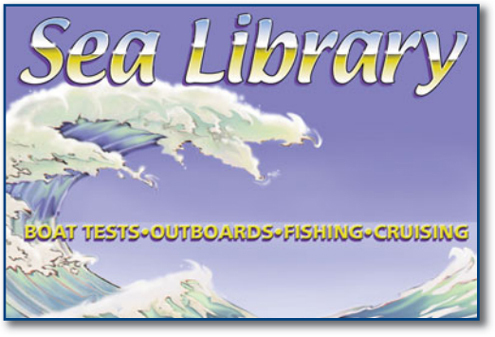 The Sea Library is updated every month, and is completely free to all ABM subscribers. Otherwise it carries a small charge per download for the special articles, the premium technical reports, the ABM-written formal boat tests and especially the hard to produce "Retro" tests, many of which go back into the 1970s and 1980s and are painstakingly re-worked off very faded old magazines. However, we'll keep producing them, as they are extremely popular, and brought right up to the minute with Peter's "Hindsight" comments at the end of each Retro report. Another unique and very useful feature of the SEA Lbrary is the Preview and Full Report system on the left hand and right hand side of the screen. The free Preview lets readers look at the early stages of the report and helps them confirm that it IS the report they are after - before they download it. 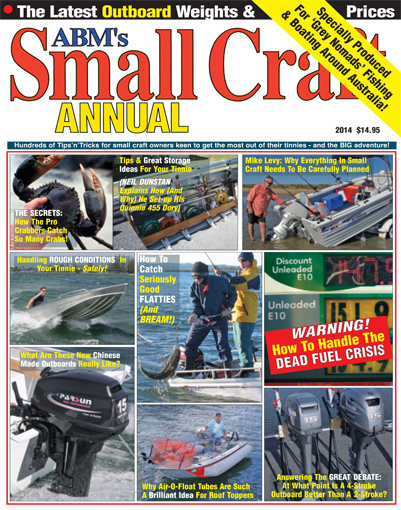 Quite a few articles and reports are now free of charge - mainly where we are reproducing editorial that's been supplied to the magazine (called 'native' editorial for some obscure reason) and articles or reports that we believe should be available in the best interests of the general boating communty. Articles can be read on screen - or downloaded onto a b&w printer, or printed out in full colour on your PC's colour printer. Each article is a simple, easy to use PDF download that can provide the answers to 'those' questions around the BBQ - and give you bragging rights in the process! Typically, the SEA Library runs a couple of months behind the monthly magazine, but all the major feature articles, columns and Surveys are ultimately filed in the Library for future study and research.